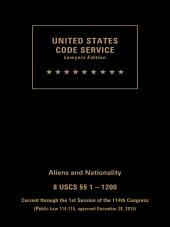 Using the exact language of Congress so that you can cite it with confidence, the USCS provides comprehensive, annotated coverage of the entire U.S. Code, the U.S. Constitution, the Federal Rules of Civil, Criminal, Bankruptcy, and Appellate Procedure, the Court Rules of the Supreme Court, Federal Courts of Appeals and special courts, the Federal Rules of Evidence, the United States Sentencing Guidelines, as well as the procedural rules of major administrative agencies, major treaties, and selected uncodified laws. 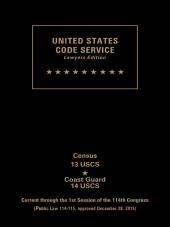 ▪  The Table of Statutes at Large is designed to provide quick and easy access into the United States Code Service by means of any one of the possible references to a Federal law that is likely to be encountered.This includes references to laws by volume and page number, date of enactment, chapter number for laws enacted before 1957, and Public Law number. ▪  These tables provide ready access to the location of various presidential documents appearing in the United States Code Service. ▪  The Table of Popular Names lists each Act by its short title designation, as well as by common names that have developed by usage over time. 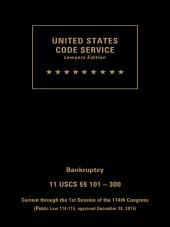 Each listing contains the citation of the original Act, plus the citations of any amendatory Act, along with any applicable classifications to the Code.